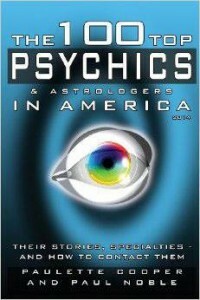 According to a reporter, an increasing number of Psychics claim to be able to speak to the dead. I think it’s time for a good explanation, so that’s why I’ve decided to shed some light on the subject, from a professional Psychic’s point of view. Cooper has personally interviewed almost 200 Psychics, since 1996. She adds, “Twenty years ago when I started interviewing psychics, only those considered woo-woo called themselves a “Medium”. Now most will contact your dead Aunt Tootie,” she said. In the interest of explaining what’s behind this Psychic Medium trend, I share my thoughts on this delicate subject, below. Voxx: Is Every Psychic a Spirit Medium? I believe the underlying problem is not that more Psychics are claiming to speak with the dead, but that more people are falsely claiming to be Psychic in the first place. A true Psychic possesses certain God-given abilities such as Clairvoyance, and Clairaudience. 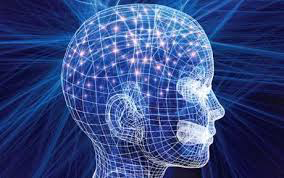 A more intensified form of these two abilities enables a Psychic to act as a Medium, (formerly called a Trance Medium) receiving visions and auditory information from beings on what is commonly now known as, The Astral Plane. It is not uncommon for “regular” Psychics to hone their abilities over time, and become more “Mediumistic” — able to reach even deeper levels of psychic awareness. The biggest challenge comes from trying to identify which people are truly Psychic in the first place. Once a person can prove their Psychic’s authenticity, it is easier to find out if the information they provide is true. Usually, this proof grows over time as a true Psychic’s clientele will experience for themselves. People who pretend to be “Psychics” and/or “Mediums” are usually trying to make money by targeting poor, unsuspecting victims. Unfortunately, such frauds get more attention — and more quickly, than the authentic Psychics. Mostly, because a great number of people tend to not want to divulge the fact that they actually visit a Psychic in the first place! In the last 20 years, the idea of Psychic phenomena has become increasingly familiar, and accepted by a wide range of the public, even a large cross-section of Christians seem to be open to the idea of speaking with the dead. I think it is very important to first find an authentic Psychic (usually by word-of-mouth, or respected sources), and then ask them if they have the ability of a Trance Medium. Most ethical Psychic practitioners will answer this question honestly. During the session, if the Psychic gives you incorrect information, then the client should end the session, and leave. Making oneself “open” to the suggestions of a fake Psychic is not suggested. There is a trend for certain Psychics (whether real or not), to call themselves Mediums, when they are actually Mind Readers. Reading a person’s mind is a Psychic ability, and may sound impressive; However, merely reading a person’s mind (no matter how accurately it is done), does NOT predict the future. What is already in a person’s mind concerns only the present tense. This explains the success of certain Psychics who have this ability, but are not Predictive Psychics. Therefore, an authentic Psychic may NOT know your grandmother’s middle name (which is already known by the client), but may be able to give an accurate prediction of future events, currently unknown by the Client, nor anyone else. Example of a Mind Reader: If you and your now-deceased grandfather, shared a secret that only the two of you know about, a Psychic (or a simple Mind Reader) can retrieve this information from your sub-conscious mind, and impress you with it; However, this information came from YOU, because you are the only one left who remembers it. This is the “trick” that most popular “Mediums” use to share info they receive from the deceased. It’s still quite impressive. And who doesn’t want to believe it, considering the great sense of relief and consolation gained as a result? Quite frankly, it’s my experience that mere Mind Readers make people more happy than actual Psychics, who more often have serious and/or distressing information to share, regarding reality. I’m not trying to discourage anyone from receiving solace, but trying to educate people regarding the difference between Real Psychics, as opposed to gifted Mind Readers vs. Faux/Psychics/Mediums. I feel this info is really important to share, as the charlatans who people the field of spirituality make it increasingly difficult for us real ones to be taken seriously. I plan to write more about the subject soon. Feel free to share this post with your friends. You may publish this post by written permission only. Thank you. Contact me at voxx (at) voxx (dot) org.